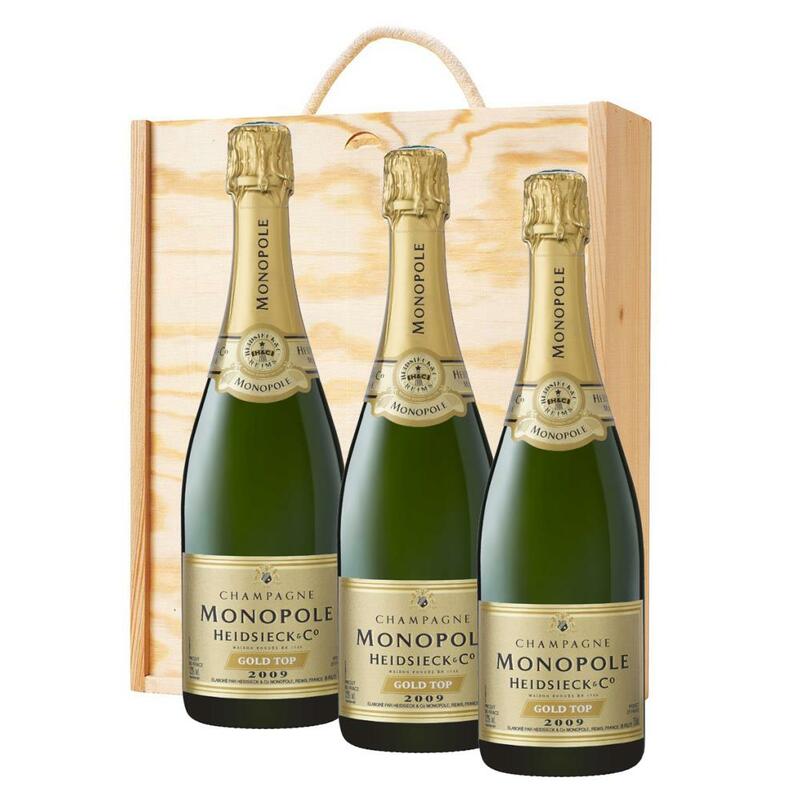 3 x Champagne 75cl bottles of Monopole Vintage Champagne 2009 75cl supplied in a wooden timber case lined with wood wool. Heidsieck and Co. Monopole Vintage Champagne 75cl - Light yellow in colour, it boasts brilliant reflections which afford this wine its full lustre. The first nose is smoky, evolving towards notes of roasted, dry fruits and a hint of hazelnut. The next aromas are more rounded. The first is reminiscent of honey with gingerbread dominance.